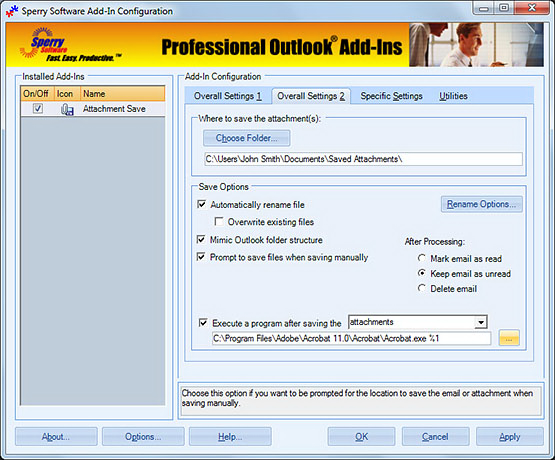 It's a snap to configure the Attachment Save add-in. 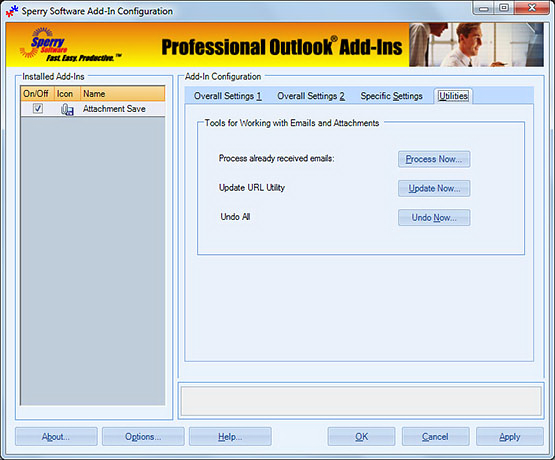 Here you can see the main add-in screen along with the many powerful options that the add-in supports including the ability to process a whole bunch of emails at once. Buy it today! 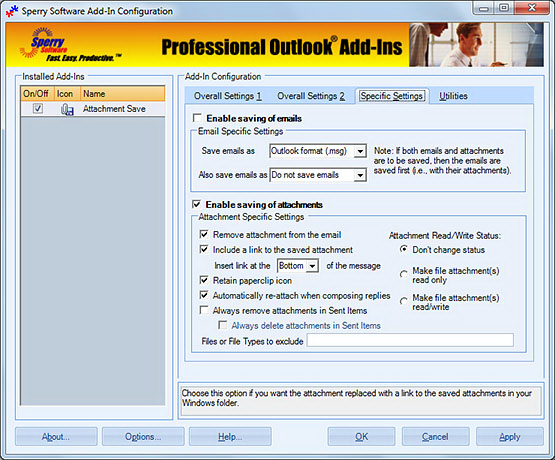 Copyright © 2001-2015 Sperry Software, Inc. All rights reserved. Chat with our Sales Team! 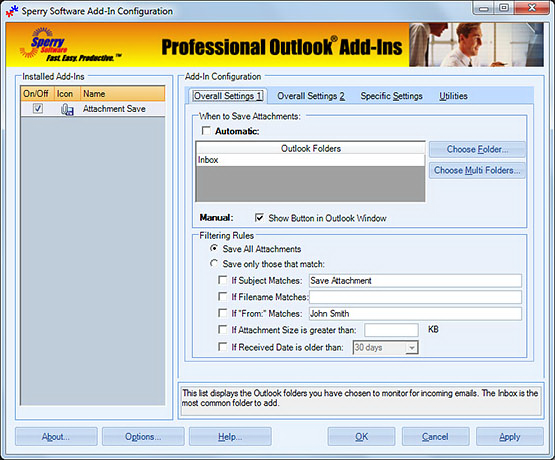 Subscribe to our newsletter for updates on our add-ins and tips on how to get the most out of Microsoft Outlook.